Hello guys, today I have an interesting topic which you guys going to like it. I done so much of research on this topic and got a solution for the guys who don't have any hotspot device which is going to support your device. When you guys have a broadband connection with no Wi-Fi connection, then just turn laptop into a wifi router in windows 10,8.1 devices. First of all I would like to discuss on Hosted Device Network support. The only way to create a WiFi hotspot in Windows 10,8.1 laptop is having a Hosted Network Support should be yes. But there is another way to create that using a simple software called connectify. 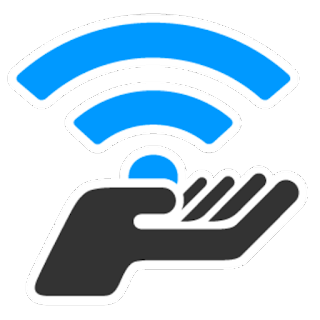 This will make your device setup a virtual network in which you can create a hotspot of your broadband connection and make your laptop a WiFi router. Follow the below instruction and setup WiFi hotspot for windows 10,8.1 laptop. Download Connectify Software and Install it. You will see settings in the first tab of connectify after you install it. In that you can see WiFi Hotspot option. In that you can set the Hotspot Name, password. You will have the default settings with which your connection will be shared except for Hotspot name and password (Note: Do not change those settings). Click on Start Hotspot Option. You can now be able to share your internet connection to other wireless devices. Some of the devices can share internet only to mobiles but not other laptops. Just follow this guide to solve that problem.